The process of ‘”orbanizacja” is now becoming more and more a reality in Poland. The lighting quick push for reform by the Law and Justice party (PiS) after eight years of center-right rule has taken a heavy toll on the judicial system in Poland during the past week. 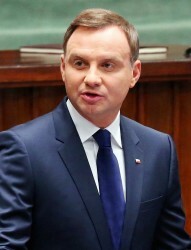 Polish President Andrzej Duda, who took office at the Belwedere Palace in Warsaw in August 2015, has granted pardon to 4 agents from the Central Anti-Corruption Bureau (CBA), including its former director Mariusz Kamiński. All of the accused officers were sentenced at first instance for abuse of power. During his tenure at the head of CBA, Kaminski exerted political pressure to forge corruption charges against innocent citizens, a practice that evokes the bygone “Przesuwanie zródeł” (literally “the shifting of the sources”), a method followed by Security Service (SB) that become popular in the eighties in Poland during the period of martial law under Communism. The clemency given by the Polish head of state will enable Kamiński to serve as a coordinator of the intelligence agencies in the newly formed cabinet of Polish Prime Minister Beata Szydło. For the first in its modern history, Poland granted pardon to its citizens before the final ruling has been issued. In his new tailor-made role with plenipotentiary powers, Kamiński will be accountable for drafting the program of combating abuse in public institutions. The CBA representatives will remain entitled to apply other operating techniques used in the prosecution of corrupt state officials. Following his appointment, Kaminski is in also in charge of overseeing the eligibility of any public officials hired in joint-stock companies having a share owned by Polish Treasury. On the other hand, the supervision of military intelligence activities will still fall within the scope of the Minister of Defense. Duda’s initiative caused an uproar among the magistrates, who were also struck by another measure that undermined the fairness and objectivity of the justice system. Five judges of the Constitutional Tribunal of Poland (TK) appointed before the political shift that brought PiS to power were pre-emptively discharged prior to their taking office as a result of the Constitution Tribunal Bill. The latter decision will give the political party created by the Kaczynski brothers the chance to appoint new members of TK closer to the political line pursued by PiS. “The idea behind these changes brings to mind rather Minsk than Budapest”, commented opposition MP Kamila Gasiuk-Pihowicz during last Thursday’s parliamentary debate. The government led by Szydło is aiming to scrap the autonomy of the judges responsible for investigating judicial cases. One of the main points of the “orbanization” program put in place by PiS consists indeed in the reunification of functions of the Prosecutor General and Ministry of Justice. The tug-of-war between Duda and Constitutional Tribunal of Poland has escalated since the court ruled on December 3 that the choice of two of the five judges elected in October by outgoing PO government is not constitutional. Still, Duda was faulted for refusing to swear in the remaining three. The head of the Chancellery of Prime Minister Beata Kempa, subsequently, put on hold the publication of the ruling in the Journal of Laws in order to prevent it from coming into force. Unlike the Fidesz goverment in Hungary, which has already green-lit major constitutional changes, the political agenda of PiS includes a number of broad reforms that could be implemented without necessarily having to change the Constitution.However the latter still remains one of the long-term goals of PiS that obtained an overwhelming majority in Poland’s newly formed Sejm. Duda has a chance to be independent of his ‘mentor’ Kacinski but has instead opted to be his poodle. I was prepared to give him a chance – seeing him as youthful and a good communicator – but his image has already been tarnished in the early days of his Presidency by this bipartisan political actions. This is not a good sign for Poland. PiS are interfering with the judicial system and also applying pressure on public prosecutors to toe the PiS line i.e. they are set upon undermining the independence of the the judicial system which is the key component of a flourishing democracy. I’m sure you were so concerned when the previous government illegally appointed numerous justices before they left office. Yeah right, don’t forget leftist agents – when YOU open the door, don’t complain about who walks through it! His name is “Ivan” – shouldn’t he be concerned about the rule of law in his own country? Let me see if I got this right… An official is tried for corruption, sentenced and then pardoned so he can continue in power even though he’s proven to be unqualified and distrusted to do the job? Did you read the pardon? If not, no need to open your mouth – you can breathe easier through your nose. I think you are right. Alas. Seems to me that democracy has not completely taken hold in Poland . But democracy has not completely taken hold anywhere. As well,the EU was was (is?) run by dreamers and bureaucrats, who do not understand human nature. They do not know that money should always come with plenty of strings attached. They should learn from banks. Greece, Hungary and Poland are different example of this principle. Poland was a victim of EU-predatory lending. Thankfully, the new government is refusing to pay. Not to worry though, the next EU clique will still pay – greed is a powerful instinct. Key is borrow during PO times and do not pay back during PiS times. Rinse and repeat. Holycow, you misconstrue what I wrote. What I meant in relation to banks is that they – wisely – attach strings to loans they extend. Lending to Greece in the past without strings attached was a huge error. Okazja czyni zlodzieja. BTW, I supported PiS 10 years ago, only to be embarassed by its unholy union with Lepper and Giertych, As for the present crew, alone listening for 5 minutes to Madame Pawlowicz cures many people. Poland like Hungary is turning neo Fascist. If they continue down this path they must both be given an ultimatum to stop the moves to totalitarianism or booted out of the E.U. It seems they’d be much better to join some sort of union with Putinist Russia. Dan – I am no fan of the PiS party, but I am not as pessimistic as you are concerning Poland, and this for several reasons. First of all, the comparison with Hungary. Hungary has traditions of fascist regimes, whereas Poland does not. To the contrary Polish people love freedom and have shown time and again that they prepared to fight for it. In my opinion, should the PiS government turns really fascist, in my opinion there would be a short but bloody and effective armed uprising. 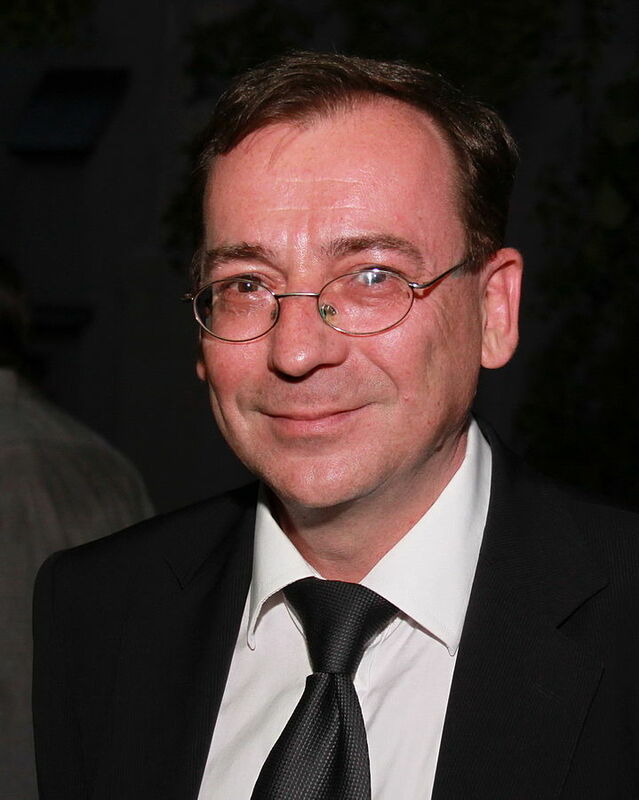 Second, some of the reasons why many people voted for PiS and still support it, is that the previous government did not care about the fact that a significant portion of the population was totally left out of the “economic miracle” of the last 15 years – this was the main reason fort many, who were left out, to vote for PiS. Third, Poles have a much lower tolerance for corruption than many other nations – a good. thing in my opinion. At one time I spend a lot of time in Quebec and Ontario provinces of Canada, and was shocked to see how institutionalized was corruption there in high places, and how well the populace accepts it. This would be still unthinkable in Poland. This is relevant, because the previous Polish government all too often turned a blind eye to corruption – particularly in Warsaw. The new tax, introduced by the PiS government, on “golden parachutes” of top management of State owned companies, is a measure to combat nepotism and perhaps corruption.